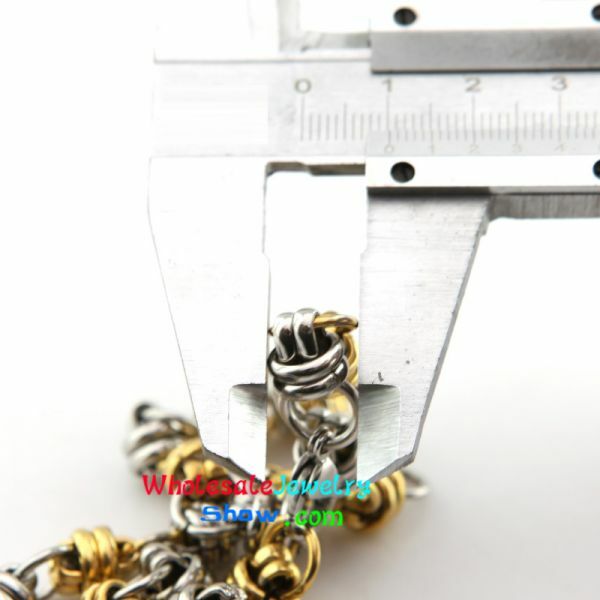 Today, a large number of beautiful girls and handsome boys are hard to resist charms for bracelets. 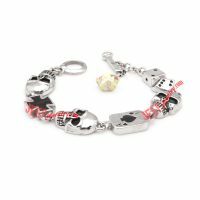 Most of them are fond of bracelets very much because they like to dress up themselves through wearing jewelry. 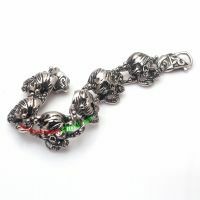 For this reason, our shop has a variety of bracelets, such as stainless steel bracelets, copper bracelets, green jade bracelets and diamond bracelets and so on. 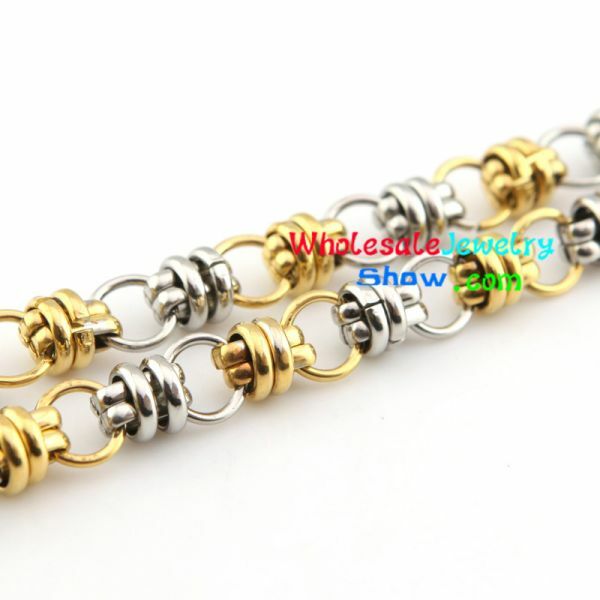 Actually, this stylish new era of men silver & gold rings design of bracelet is one kind of stainless steel bracelet. 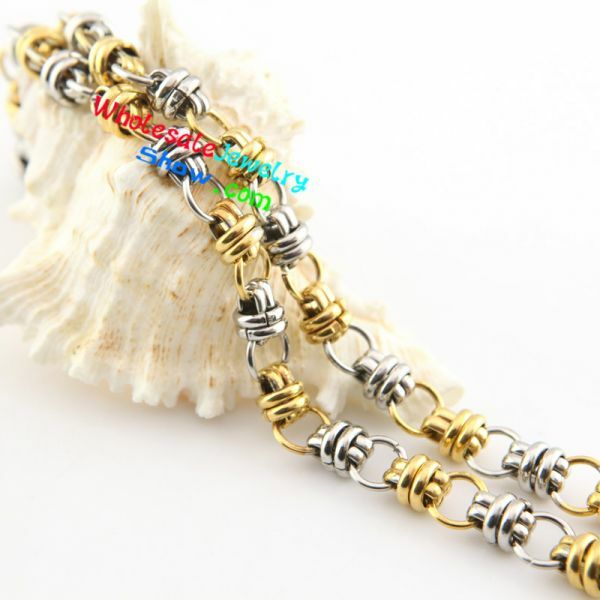 The major design of this bracelet just likes a ring with two colors which are silver and gold. 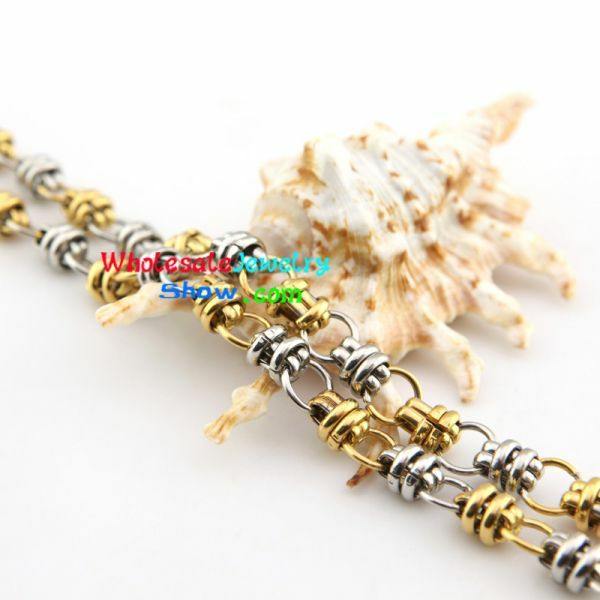 Apparently, this bracelet is made from stainless steel which has firm texture as well as exquisite workmanship. Both men and women can wear this bracelet without gender and age limit. Meanwhile, except for bracelet, this kind of design also can be made into the same style of necklace. 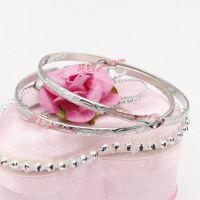 Therefore, you can buy the combination jewelry of this kind of bracelet and necklace if you really love. Certainly, this combination jewelry is a wonderful choice of gift giving to your friends, colleagues, lovers or parents in important festivals or on their birthdays. 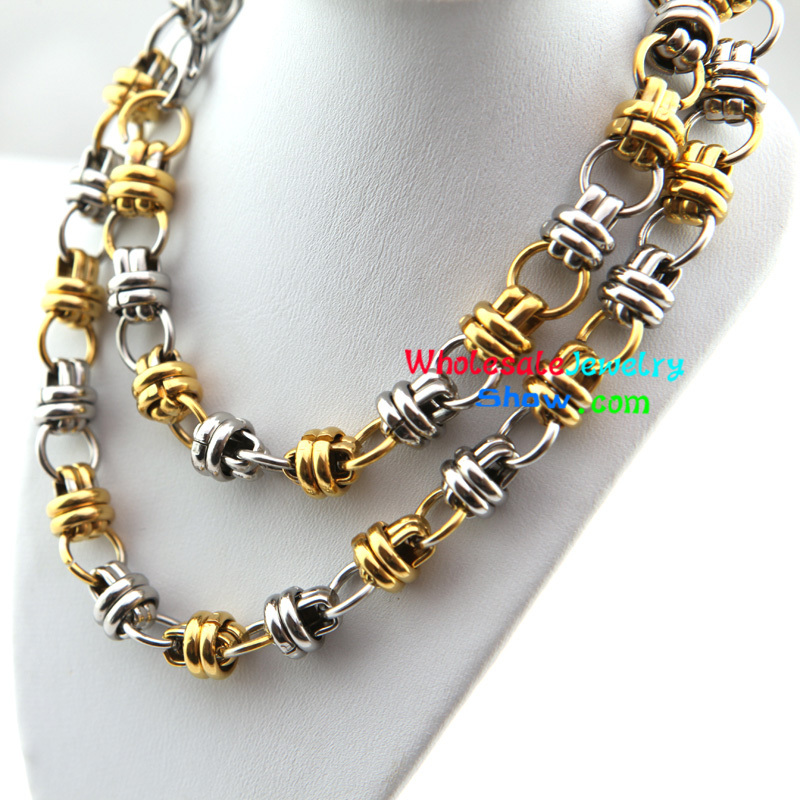 Copyright © 1997-2013 Wholesalejewelryshow.com Ltd. All Rights Reserved.